SavingsThis 18 lb cone of bag closing thread will close 10,000 sandbags using a sewing head. Buying in bulk saves money, and fewer thread change-outs reduces labor cost while increasing production. QualityThis excellent bag closing thread won't snag, fray, or easily break and is designed to last years outdoors. 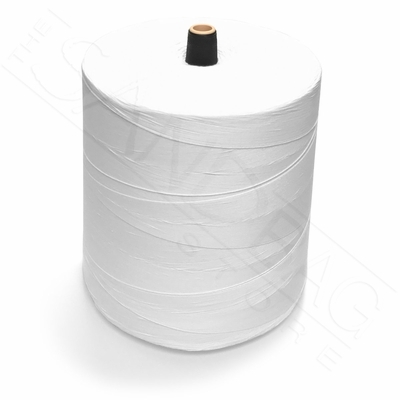 This 5-Ply thread is proudly Made in USA. this thread does the job it is designed to do and does not get jammed in machine making production consistent.